Space and time are inverse perspectives on motion. In space length is measured by a rigid rod at rest, whereas duration is measured by a clock that is always in motion. In time duration is measured by a clock at rest relative to the time frame, whereas length is measured by a rigid rod in motion that counteracts time as it were. This is illustrated by deriving the Lorentz factor for time dilation and length contraction from light clocks. The first derivation is in space with scalar time and the second is in time with scalar space. 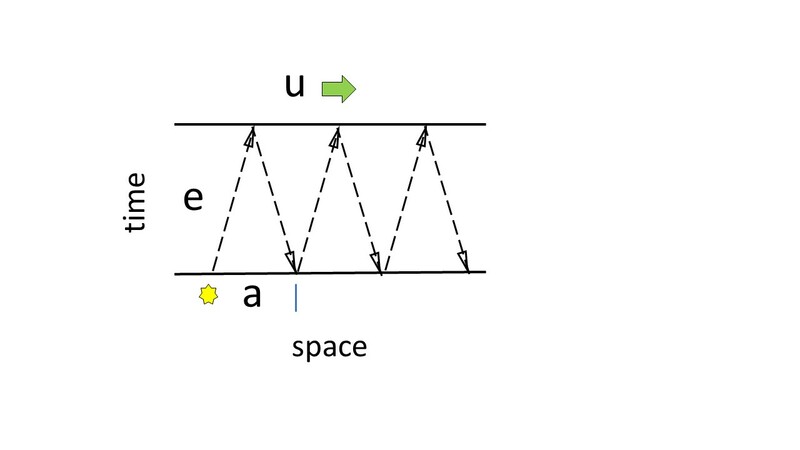 The first figure above shows a light clock in space as a beam of light reflected back and forth between two mirrored surfaces. The height that the light beam travels between the surfaces is h. Let one time cycle Δt = 2h/c = 2h¢ or h = cΔt/2 = Δt/(2¢), with mean speed of light c and mean pace of light ¢. The second figure shows the light clock as observed by someone moving with velocity v and pace u relative to the light clock; the length of each leg is d; and the length of the base of one triangle-shaped cycle is b. From the moving observer’s perspective, the clock travels b = vΔt´ = Δt´/u, with time interval Δt´. 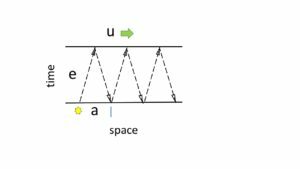 The light beam travels 2d = cΔt´ = Δt´/¢ each cycle. If we normalize v with c and u with ¢, then v/c = ¢/u = β, c = ¢ = 1, b = βΔt´, 2d = Δt´, and h = Δt/2. (Δt´/2)² = (βΔt´/2)² + (Δt/2)².
Δt´²(1 − β²) = Δt². which is the time dilation with the Lorentz factor γ. Now consider the light clock in time with scalar space or stance. In this case the observation in the first figure is of a light clock in time, i.e., working. As before, it is a beam of light reflected back and forth between two mirrored surfaces. 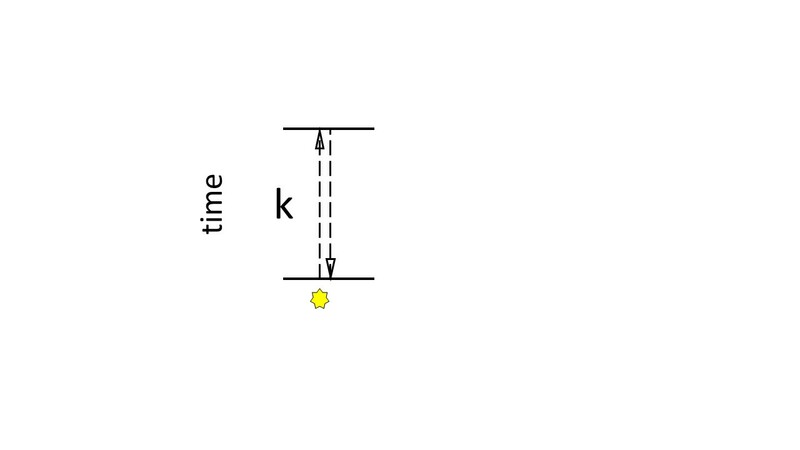 The duration of the light beam between the surfaces is k. Let one stance cycle Δr´ = 2k or k = Δr´/2, with the speed of light set to unity as above. 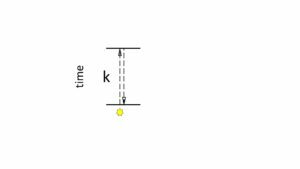 The second figure shows a light clock at rest as observed by someone moving with legerity u relative to it. The duration of each leg is e, and the duration of the base of one triangle-shaped cycle is a. The moving observer travels a = βΔr, with stance interval Δr. The light beam travels 2e = Δr each cycle. (Δr/2)² = (βΔr/2)² + (Δr´/2)².
Δr²(1 − β²) = Δr´². which is the length contraction with the Lorentz factor γ.